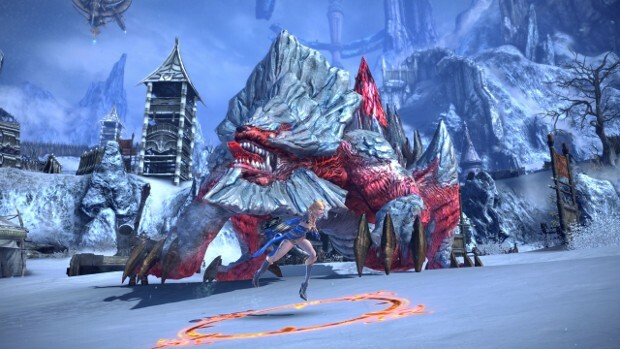 TERA, the one MMO that definitely should have been on consoles a long time ago, is finally launching on Xbox One and PlayStation 4 April 3rd. En Masse Entertainment has been running beta tests for the game on both consoles over the past month or so and it seems it’s finally ready for full release. As you would expect, En Masse will be founder’s packs alongside the launch. These packs will grant access to a head start period (starting March 27), as well as offer exclusive in-game items. The base pack costs $29.99 and include 1000 EMP, a fiery mount, a stack of strongbox keys, totes, and a the “Founder” title. There are three other packs available as well. Currently, individual prices are not listed for these, and each offers its own content ranging from the “Founder” title to bank expansion and character slots — and always a different mount. The packs will be available to purchase starting tomorrow, but you can check them out today on the TERA site. I wouldn’t say “full” release.